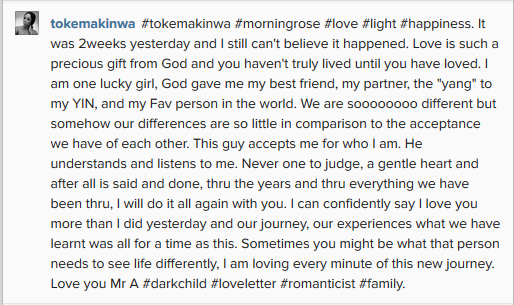 Here is what Toke wrote this morning about loving her hubby over and over again. She says, if she has the opportunity of picking again, it will have to be him. « Online retailers Konga and Jumia at war!